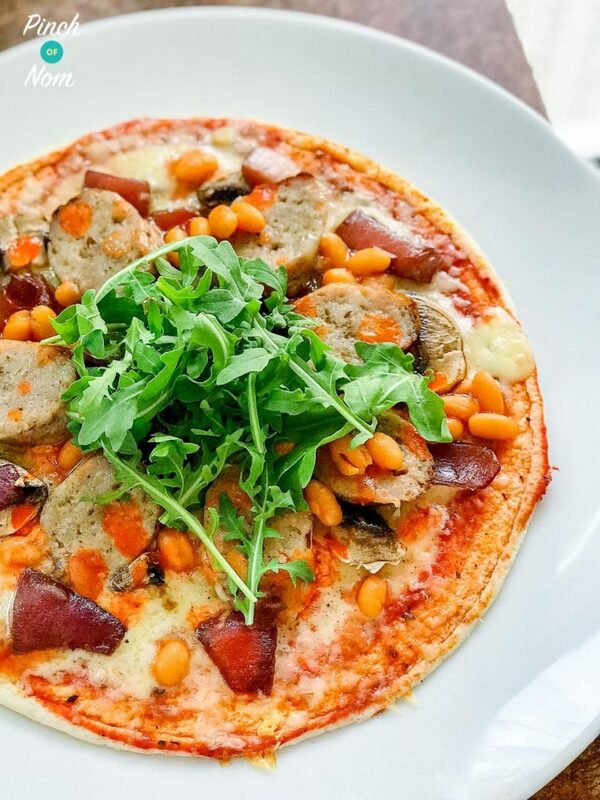 This Lo-Dough All Day Breakfast Pizza is a perfect way to start the day when counting calories or following plans like Slimming World and Weight Watchers! 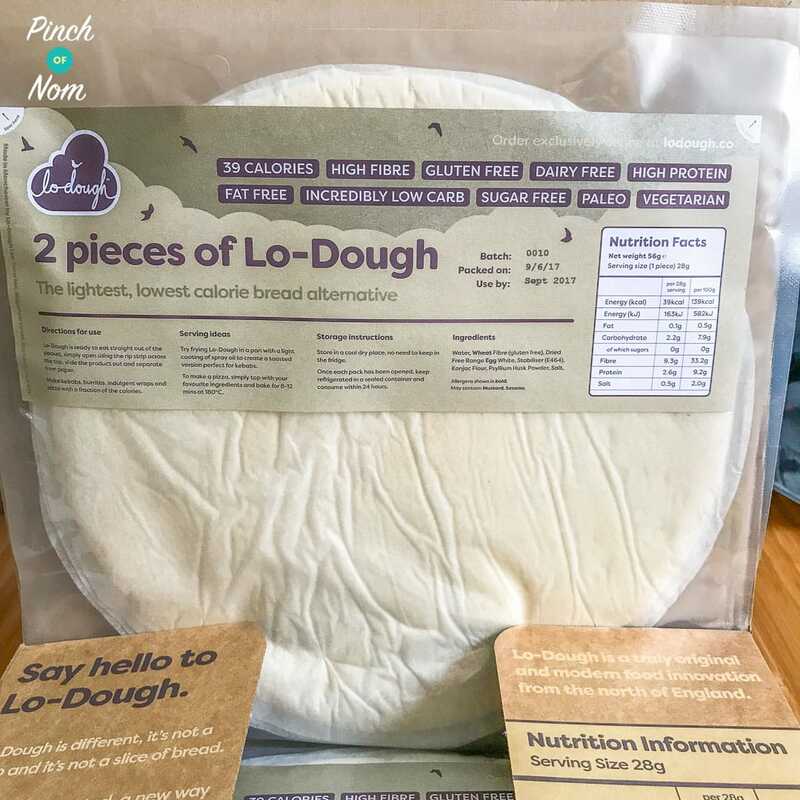 A few members of our Facebook group were raving about Lo-Dough, so we did some digging, and Lo-Dough were kind enough to send us some to try! Usually when I hear about a new healthy product being amazing, I take it with a big pinch of salt. So people have been raving about Lo-Dough. I don’t think I’ve ever wanted to hate a product more. When I say that I don’t mean in a bad way, I think I just didn’t want to get my hopes up. 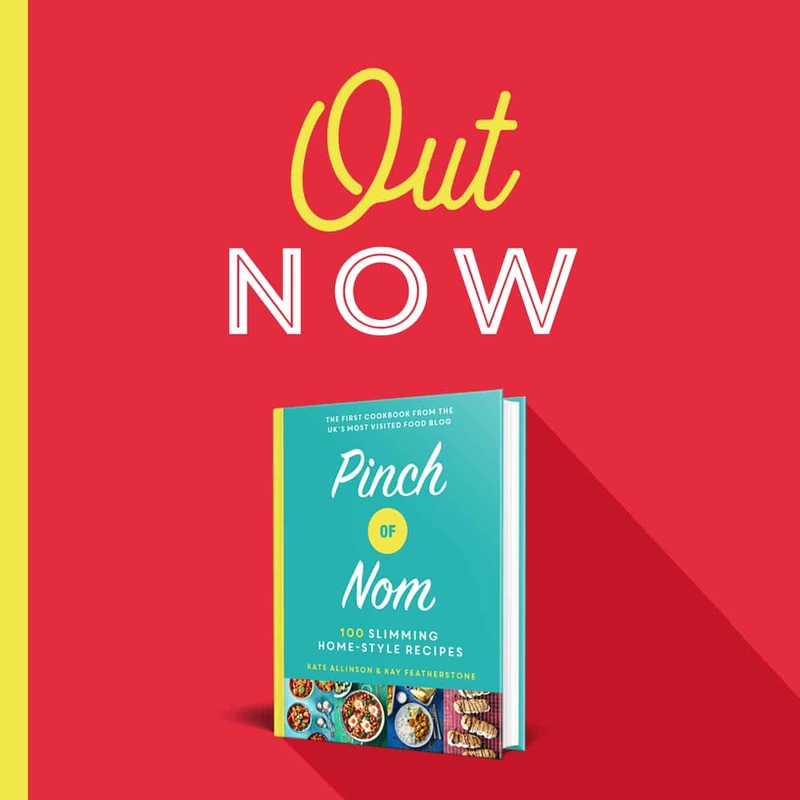 I will say this now – in my opinion, Lo-Dough is amazing & you should buy it. It makes the best Slimming World pizza base, hands down. You can catch my recipe for the 1.5 Syn all Day Breakfast Pizza below! Lo-Dough isn’t quite bread, not quite a wrap, and makes an excellent Pizza base. It’s kinda all three, it’s like a hi-tech white bread. It’s not as thin as a Weight Watchers white wrap, and it’s not as thick as a flat-bread. It’s in between the two. As you can see here I used it for a BLT, and it worked so well. Lo-Dough has a light, airy texture, almost like a sponge. It works, as it isn’t that thick – any thicker and I don’t think I’d like it. What does Lo-Dough taste of? 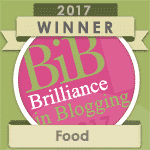 I can tell you now, it tastes nothing like wholemeal bread. I don’t think that it tastes of much – which I think is a good thing. How many Syns are in Lo-Dough? 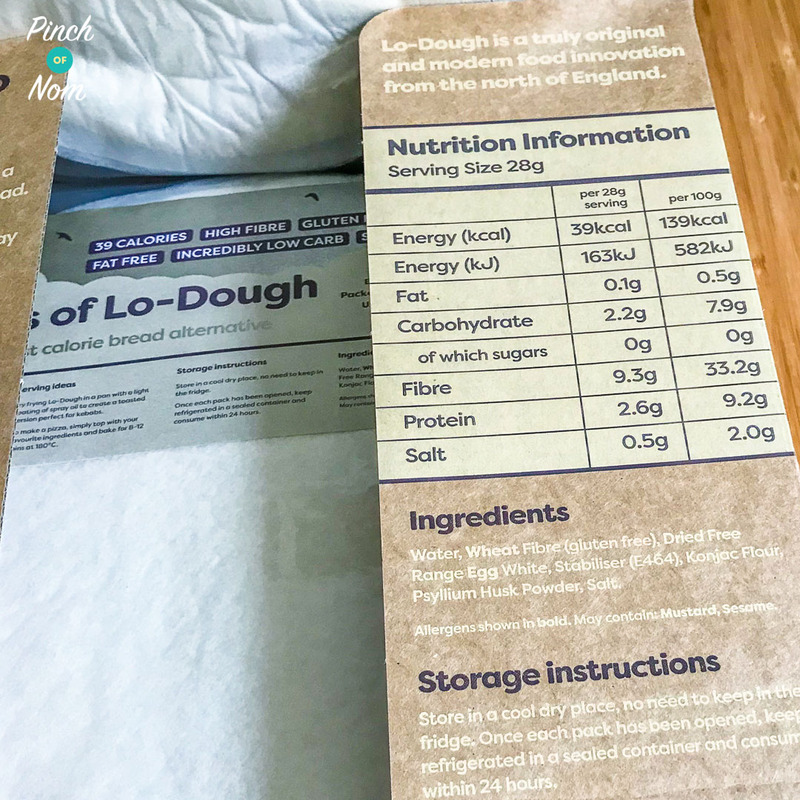 There are just 39kcal in every piece of Lo-Dough. Seriously, just 39kcal. 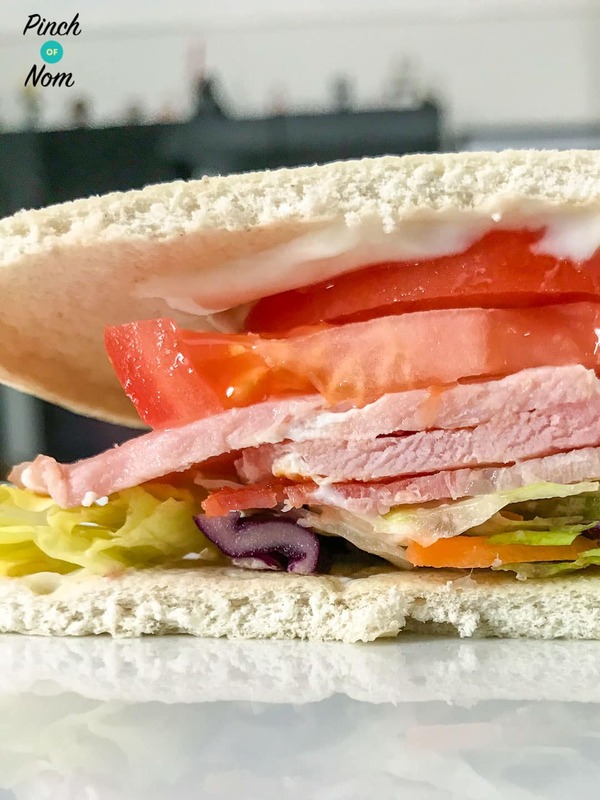 If you work on the 1 Syn per 20kcal rule – then it comes out at 2 Syns BUT until it appears on the Slimming World database we won’t know for sure. I really hope Slimming World add it! 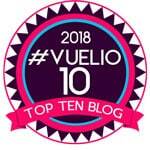 Please make sure to check the calculator and the Slimming World website. Sadly, it’s is not cheap. An introductory box will set you back £5 (including delivery), and a box of 14 pieces will set you back £28 (including delivery). I’ve been informed that each piece of Lo-Dough takes 8 hours to make, that is a looooooong time! There’s also been an awful lot of research and development that’s gone into making it, so you can forgive the seemingly high price. Considering delivery is included – it’s not bad at all really! That money that I’d spend on takeaways, I now spend on healthy treats, so I don’t mind spending a few extra pennies. Where can I buy Lo-Dough? 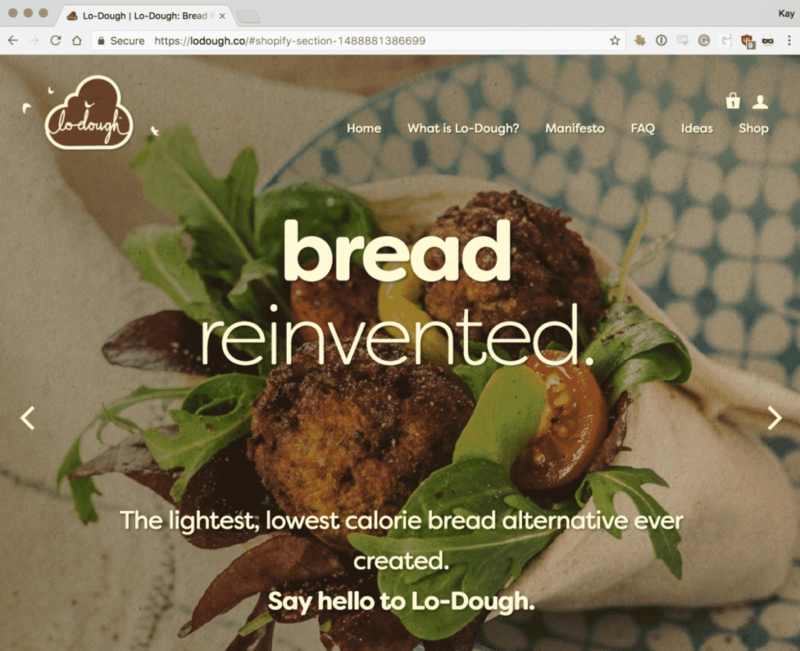 For now, the only place you can buy Lo-Dough is via their website. It seems that word is spreading mind, so you better be quick if you want to snap some up! There’s a handy little feature on their website that will notify you when they’re back in stock. Yes, and I’ve already bought it again, twice even – it makes the best pizza (recipe below!). It actually fills me up, unlike wholemeal bread, and with only 39kcal per piece – I’m quids in. What would I use Lo-Dough for? Both were a success. I’ve included the recipe for the All Day Breakfast Pizza below. It really is something else. 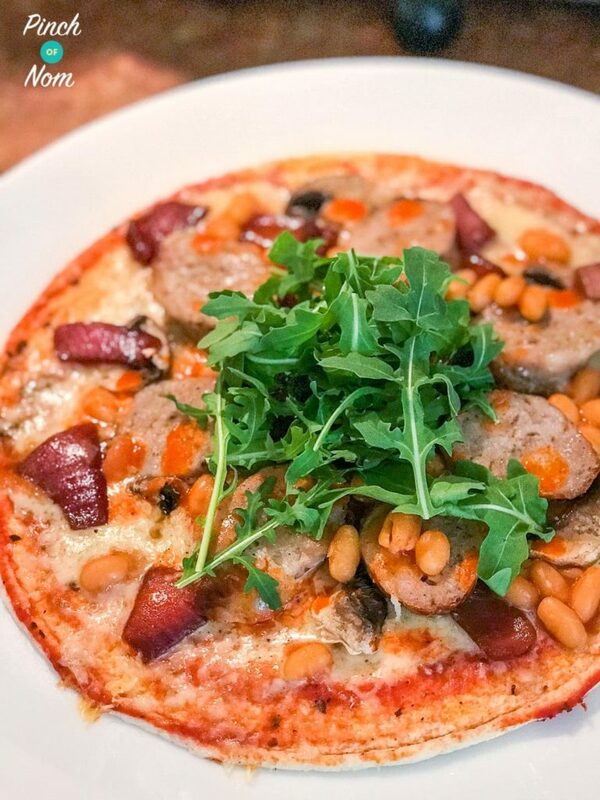 Sausage, tomato, mushrooms, balsamic red onions, beans and topped with rocket. Absolute heaven! 20 g Low Fat Cheese I used this as part of my HEA, but check your Syns! Remove from the oven and place your handful of rocket on the top. If you don't have rocket, you could use spinach instead. 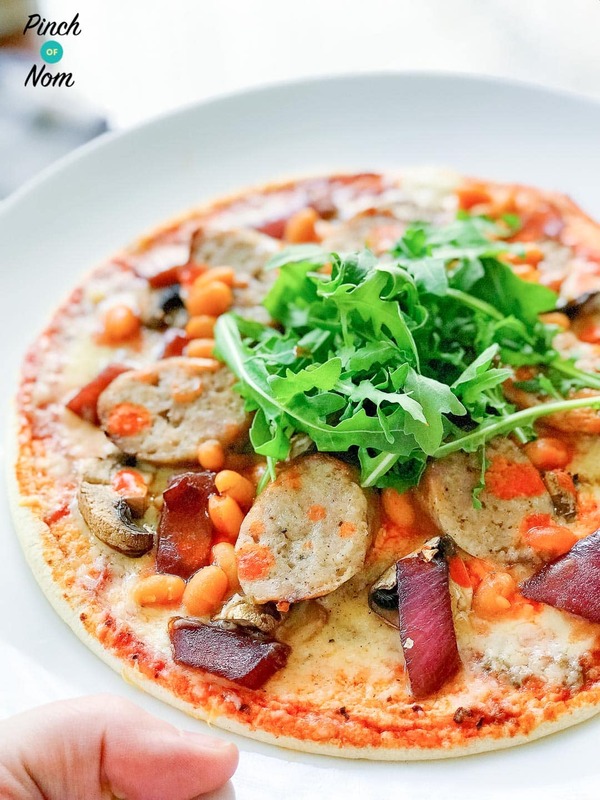 The Syns for this pizza are worked out based on using cheese from one Healthy Extra A allowance. Should you wish to not do this, then remember to Syn the cheese accordingly. With that in mind, it's 2 Syns for the Lo-Dough, 0.5 Syns for each Chipolata which makes a total of 3 Syns. Split between two people that's 1.5 Syns each. 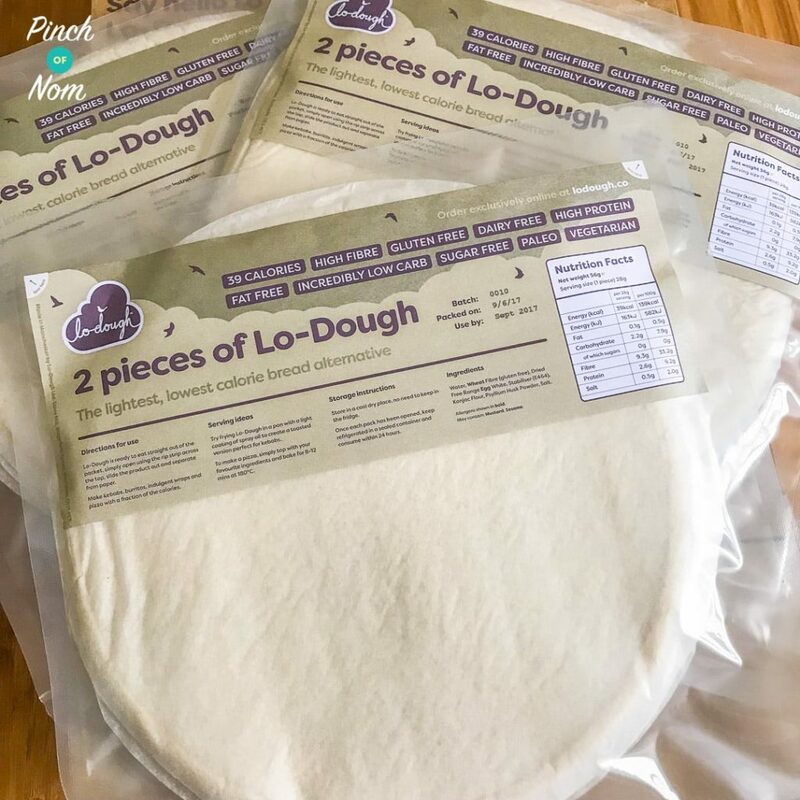 You’d need to contact Lo Dough via their website, https://lodough.co as you can only buy stock through them. So you have 1/2 a pizza for 1 1/2 syns ?